Five years after Rwandan dissident Patrick Karegeya was strangled in a Johannesburg hotel, the regime of Rwanda’s President Paul Kagame casts a long shadow over the South African investigation. The lifeless body of the Rwandan former spy chief in charge of foreign intelligence was found in the luxury Michelangelo Hotel of the Sandton business district on January 1, 2014. “He was lying on the bed. I could not recognise him. His face was so dark,” said Karegeya’s nephew David Batenga, who was first to formally identify the man behind the “Do not disturb” sign still on the door. In the safe of Room 905, police found a length of rope and a blood-stained towel. An autopsy determined that Karegeya, who had served as a close aide to Kagame, died on December 31, 2013, but no one has been charged with his death. The South African judiciary decided to hold a court hearing this month to try to identify the killer or killers. By the end of January, 30 witnesses are due to give evidence at Johannesburg’s Randburg court, but thus far, none has appeared. “The family knows who killed him,” Karegeya’s widow Leah told AFP on Wednesday, fresh off a plane from the United States, where she lives in exile. In a small, crowded court, Karegeya family lawyer Gerrie Nel set the tone of debate on Wednesday. “We will be arguing that this assassination is intrinsically linked to the political situation in Rwanda,” said Nel, famed for his role as prosecutor in the trial of athlete Oscar Pistorius. Karegeya was a comrade-in-arms of Paul Kagame when the latter led a rebellion by the Rwandan Patriotic Front, which brought an end to the 1994 genocide in which Hutu militias and troops slaughtered about 800,000 people, mainly minority Tutsis, in three months. Under Kagame’s regime, Karegeya took charge of foreign intelligence services for a decade, until he fell into disgrace. He was jailed twice, in 2005 and 2006. In 2007, Karegeya went into exile, heading for South Africa on the heels of the Rwandan former chief of army staff, Faustin Kayumba Nyamwasa. The two men founded the Rwandan National Congress (RNC) in opposition to the Kagame regime, which has kept a firm hold on the small central African nation. 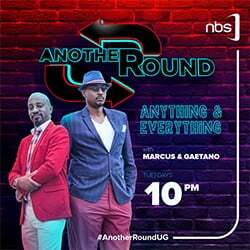 In their absence in 2011, a Rwandan court sentenced the pair to long jail terms on conviction of state security offences. In South Africa, both men faced numerous threats. General Kayumba Nyamwasa survived several assassination bids, which led in 2014 to the expulsion of several Rwandan diplomats by Pretoria. 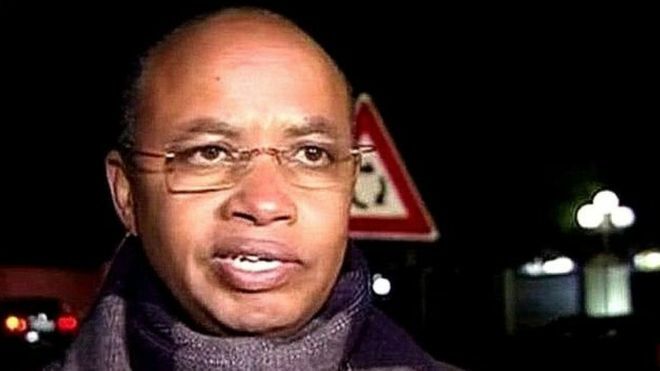 Karegeya did not escape the trap laid for him on New Year’s Eve, 2013, but the Kigali government swiftly denied any involvement and said the former intelligence chief was himself to blame. “They deny they had anything to do with it but they rejoice in the fact that this happened,” said Human Rights Watch (HRW) observer Lewis Mudge. “If this inquest is independent, I think there is a very good chance that the lines are going to point towards the Rwandese government,” he told AFP. The proceedings could “outline this pattern in Rwanda of a very repressive government,” he added. Karegeya and Kayumba Nyamwasa are among the most prominent figures from Kigali to be targeted by killers, but Mudge said that many other people who have become dissidents face reprisals. If the judge decides, the hearing could lead to a trial. He pointed out that four Rwandan suspects were implicated in Karegeya’s murder, including his friend Apollo Gafaranga Ismael, who booked the hotel room. All four men hastily left South Africa after the murder, and the country made “no attempts to extradite the suspects,” Nel added. “We should prosecute now,” he said.